While hiking last Sunday with a friend (and the Girl), we were presented with this gorgeous view of an early-morning Lake Tahoe, with the sun just peaking over the edge of the rim crest to illuminate the point at Chimney Beach. Here is a capture from my hike with a friend last weekend. The view was just stunning. Be still my heart! That takes one’s breath away. 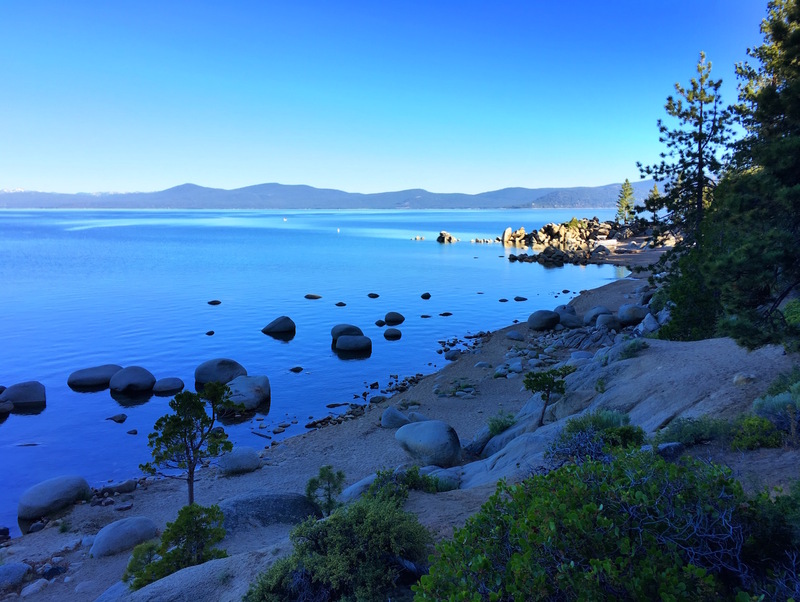 Have not visited Tahoe yet…it’s going on the bucket list! In many respects, this is my favorite part of the country. I love the desert, particularly during the three cooler seasons. With access to Lake Tahoe (not during tourist season), it is a great place for me to live.